Welcome to Neptune Motors. 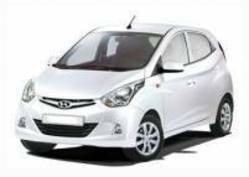 We offer a complete range of quality tested certified second hand used cars from all brands in Hyderabad. We have our sales & service outlet at Basheerbagh, Hyderabad. We are a Multibrand Used Car Dealer providing sales & service under one single umbrella. We have a qualified educated staff who are well trained in this Industry. We provide hassle free services and also assist in documentation, transfer procedure along side we also provide easy finance options and genuine car valuation.